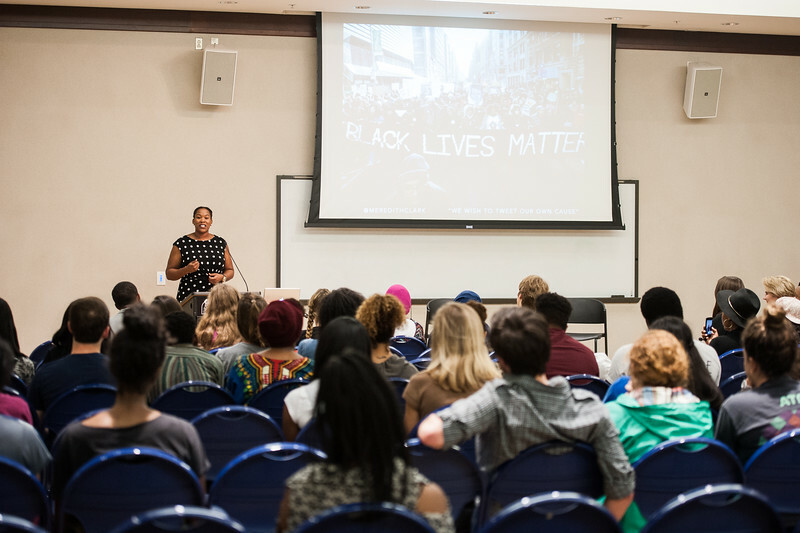 A convocation Tuesday sponsored by Belmont’s Black Student Association sought to educate the community on the phenomenon known as “Black Twitter,” which can be described as the online realm of opportunity for the black community to tell their stories. 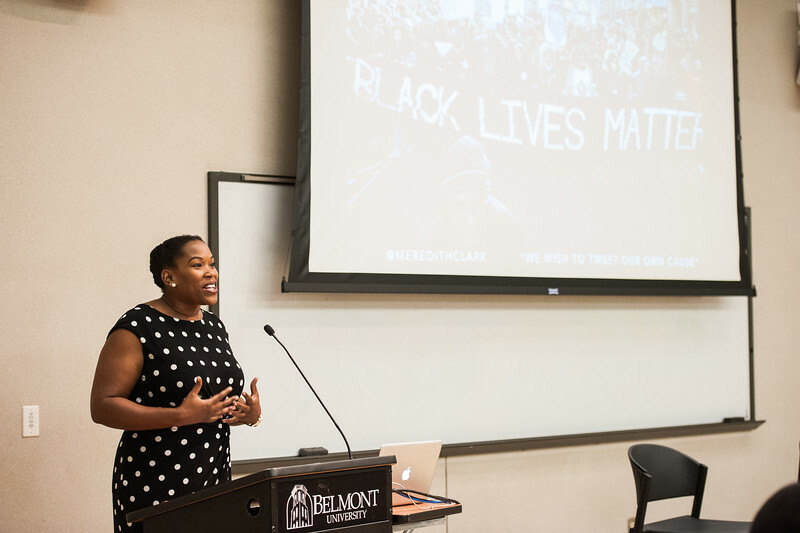 The presentation was led by Dr. Meredith Clark, assistant professor in the Mayborn School of Journalism at the University of North Texas,who last August defended her doctoral dissertation on “To Tweet Our Own Cause: A Mixed-Methods Analysis of the Online Phenomenon Known As Black Twitter.” With research interests in race in media, as well as digital and social media, she opened her talk with the recent anecdote of telling a woman on a plane that she had her PhD in Twitter. A discussion followed about the opportunity to take on this community and be a voice in the digital world. Clark explained the long process of starting her dissertation on Black Twitter. An ethnography class led her to realize that she found community by logging onto her phone at night, listening to what people were talking about and seeing which hashtags were trending. “We are a community that has a story to tell. When I realized I wanted to pursue higher education, I always went back to the same truth: it’s my truth, and I speak it in my every work. My truth is that everyone has a story to tell,” she said. Clark was able to recruit 36 volunteers, via her own Twitter account, to participate in her dissertation. Through interviews, she noticed three major phenomena of Twitter. The first is personal communities, or the idea that people join a community because others they know are already there. The second is thematic nodes, or the places one will return to repeatedly because of a common interest. Television, for example, creates communities centered around thematic nodes, like Clark’s favorite “Shondaland.” The third is the place these two phenomena intersect over an event or the news – a process or community like Black Twitter. #Blacklivesmatter, #solidarityisforwhitewomen or even #paulasbestdishes are results of this kind of community coming together as one viral voice to protest injustices in the real world. Clark received her PhD from the University of North Carolina at Chapel Hill School of Journalism and Mass Communication. She tweets @meredithclark.